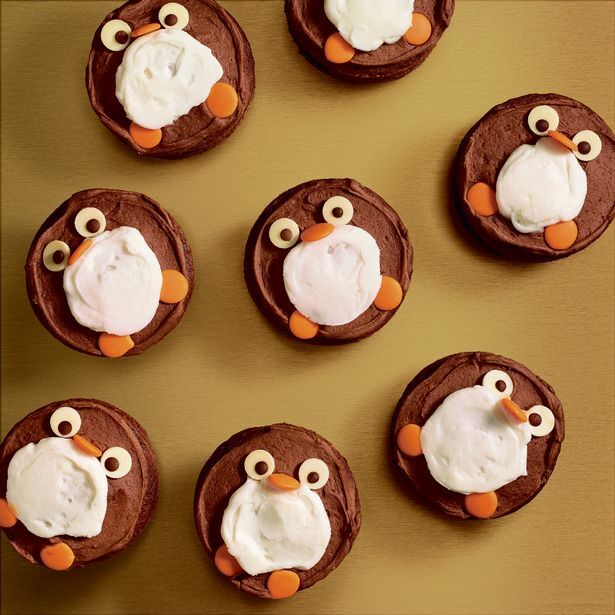 With winter just around the corner, Costa have revealed their Christmas menu, with coffees, hot chocolates and cookies all being given a festive twist. The food menu launches on Thursday November 1, while a collection of highly-anticipated Christmas-themed cups, which are often used as a marker for Christmastime, will be available from Monday October 29. The adorable cups are available in teal, bronze, purple and red and are decorated with a sprinkling of snow and classic festive characters such as Father Christmas, snowmen and reindeer. As exciting as the cups will be, the drinks inside them sound even better. Along with the cups, the coffee shop will release drinks to make your tastebuds tingle with anticipation for Christmas Day. The Black Forest hot chocolate and gingerbread and cream latte are both making a return, but there’s also some new drinks on the menu. You could stick with a good old regular latte or hot chocolate, or you could upgrade your flavours to caramelised orange and cream or hazelnut praline and cream. Christmas in a cup. They sound incredible. 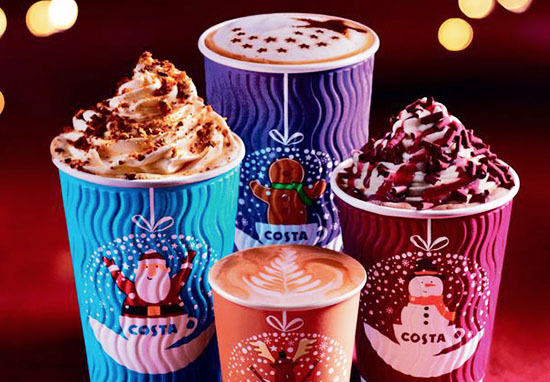 In honour of the most indulgent time of year, Costa have also come up with some entirely new delectable drinks. There will be a luxury hot chocolate on the menu, which is described as ‘small but beautifully formed rich, dark and decadent’, as well as a mouth-watering caramel drink simply created with a rich and silky hot caramel topped with milk foam. As the perfect partner to your festive drink, there is also a range of sweet and savoury treats available to get you in the Christmas spirit. The coffee shop will be offering gluten free vegan mince tarts and iced fruit slice, as well as gingerbread and sticky toffee wreath cake and clementine drizzle loaf cake. Is your mouth watering as much as mine? They’ve also combined two delicious foods to come up with a pigs in blankets mac ‘n’ cheese, and added seven brand new sandwiches and an increased number of veggie and vegan options. One of their sandwiches, the turkey and Emmenthal shimmer brioche, is actually made from shiny, shimmering bread. It might be extremely extra, but I’m on board. The savoury menu also includes a prawn cocktail sandwich, a Christmas cheese board panini, ham hock and piccalilli sandwich, beef and caramelised onion toasted baguette, the Christmas staple turkey feast, the pigs tucked under blankets panini and a veggie Christmas lunch wrap. I know where I’ll be getting lunch from now on!